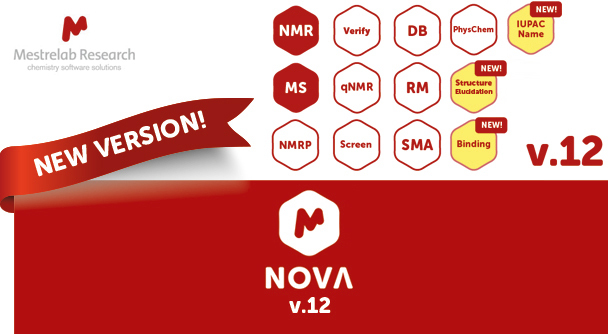 You are at:Home»Articles & News»What’s new in Mnova 12? 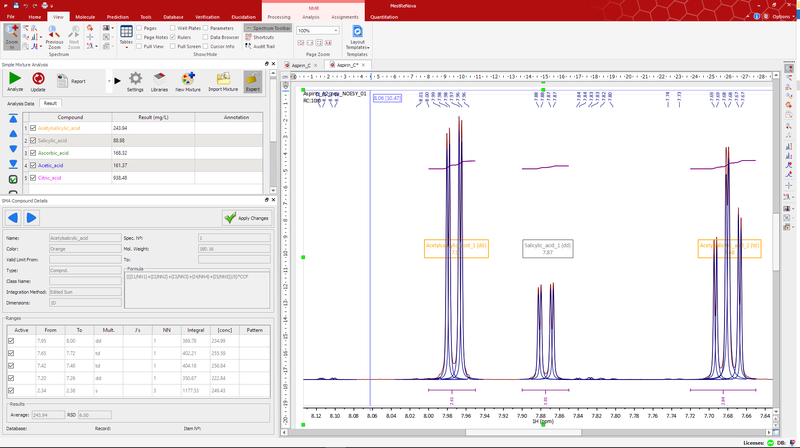 This new release represents the most functional, feature rich, and easiest to use version of Mnova NMR. It comes with a plethora of new processing and analysis NMR features and a redesigned User Interface. 1. NEW USER INTERFACE CONTROL: Ribbon. This version introduces a brand new User Interface inspired in the well-known and widely used Microsoft Ribbon control. It is an optional feature which can be selected and deselected in one-click a you prefer. We have decided to keep the classic interface by default. We hope you use and like the new interface! 2. qGSD: Taking qNMR to its limits. 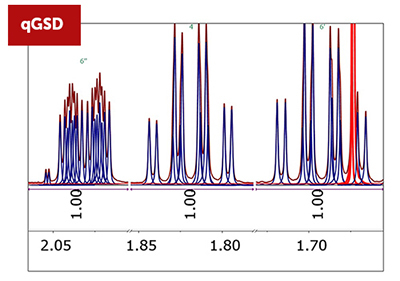 qNMR is a very powerful analytical tool widely utilized in natural products characterization, pharmaceutical analysis, and reference substances quality control. It relies on the accurate and precise determination of NMR amplitudes or integrals, a process that can be performed either by direct sum of all digital data points within a region or by deconvolution techniques. 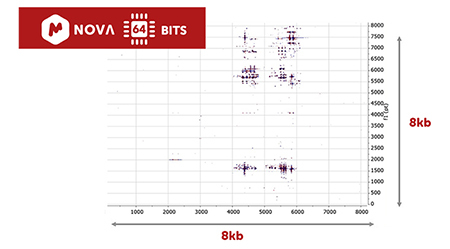 qGSD (quantitative Global Spectral Deconvolution) represents Mnova’s latest innovation that combines the power of deconvolution techniques to handle overlapped signals with the robustness of sum integration of isolated resonances. 3. 64-bit VERSION IS FINALLY AVALIABLE! Mnova can deal with your largest datasets. Processing and analysis speed is improved by efficient CPU usage with parallel processing. Memory issues are no longer a problem when the 64-bit version of Mnova is used. 4. NEW PRODUCT! Mnova Structure Elucidator: Computer Assisted Structure Elucidation using NMR spectra and molecular formula. 5. NEW PRODUCT! Mnova Binding: Chemical shift perturbation (CSP) analysis. Analysis of molecular binding using chemical shift perturbation. IUPAC names can be generated for drawn structures in Mnova. 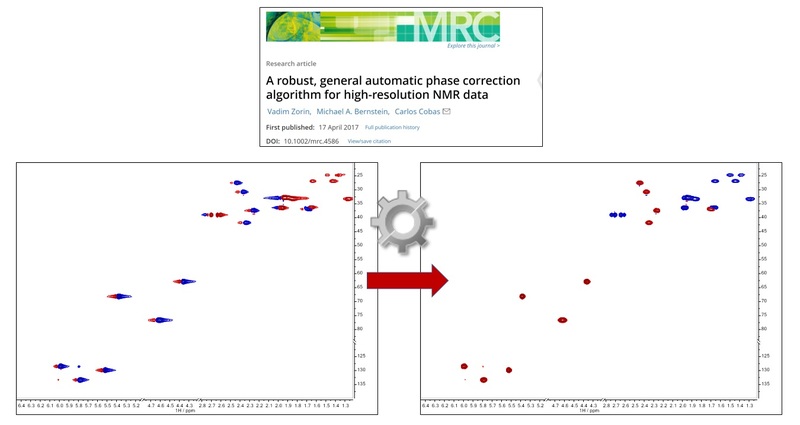 A new and robust automatic phase correction algorithm for high-resolution NMR data is now available in this version. A description of this feature can be read in detail here. 2D peak picking has been significanly improved. You can automatically optimize the peaks parameters in order to get more accurate results in cases of peaks overlap. With Version 2.0 of SMA, we provide make it much easier to specify equations for compounds. Most importantly, the concentration or purity equations can be automatically determined by the software. In addition to making the SMA experiment more easily specified, this makes it much easier to review the results for each individual component, and make changes if needed. You can, for example, deselect a multiplet – and the concentration equations are automatically redetermined and the correct result calculated. SMA Assistant: What if you want to analyse samples that are different, but you know the likely constituents of the mixture. Now you need to create a new, customized SMA “on the fly”. This can be done with SMA 2.0! Better support for file formats: Jeol, Varian, Magritek, JCAMP, etc. Improved Reference Deconvolution with the ability to use Gaussian line shapes.